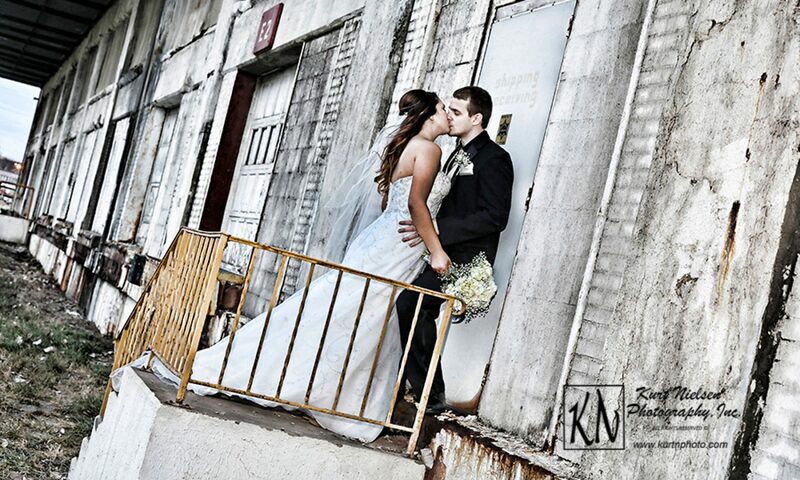 Wedding Ideas and Photos from Weddings in Toledo and the surrounding areas. Over the years, I have seen many different styles and flavors of wedding cakes. There have been round ones and square ones. Some are decorated with frosting and others use fondant. I have seen fresh flowers and flowers made of gum paste decorating the cakes. Wedding cakes can be classic and elegant or whimsical and elaborate. You can personalize your wedding cake with your wedding colors and style. Some add ribbons and custom cake toppers. I’ve even seen gold leaf flakes sprinkled on cakes and a Cinderella Carriage cake stand. No two wedding cakes or displays have ever been the same. Here are a few examples of some recent wedding cakes I have seen in the past few years. Of course, not everyone wants a big cake. Some use cupcakes instead. Cupcakes are great if you know your guests may not want to eat dessert right away. They are easy to take home and are becoming a popular trend at weddings. Don’t forget the Groom’s cake which has become more of a thing in our area. Like wedding cakes, a groom’s cake can be customized for the groom. Of course, there are other sweet treats you can add or use in place of cakes or cupcakes. Cookies and donuts are always a favorite. Still want something different? Give pie a try! Which is your favorite cake style? Feel free to make comments below and/or share this blog post on your favorite social media site. Pin your favorite images to your Pinterest board! Read what other brides are saying about me on The Knot and Wedding Wire! Read what my past Brides and Grooms are Saying! Weekend and Evening hours available by appointment only. Kurt does everything by appointment only, so even though these are his posted hours, please call in advance to be sure someone is actually in the office when you get there because he may be out of the office or on location. © Kurt Nielsen Photography, Inc. 1997-2018. All rights reserved. All images on this blog are the property of Kurt Nielsen Photography, Inc.! Please do not alter, modify or publish my images in any way without my express written consent.